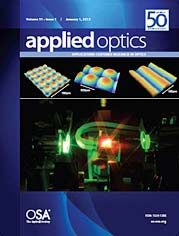 A Google-based search of the Optical Society (OSA)’s Optics InfoBase shows the following early posting of accepted papers to appear in an upcoming issue of Applied Optics, a highly respected peer-reviewed journal that is now celebrating its 50th anniversary of publishing high quality scientific papers. Here is the entry. Will it generate the same level of interest that this same information created late last year? Abstract: We present a survey on five-years experiments of excimer laser irradiation of linen fabrics, seeking for a coloration mechanism able to reproduce the microscopic complexity of the body image embedded onto the Shroud of Turin. We achieved a superficial, Shroud-like coloration in a narrow range of irradiation parameters. We also obtained latent coloration that appears after artificial or natural aging of linen following laser irradiations that at first did not generate any visible effect. Most importantly, we have recognized distinct photo-chemical processes that account for both coloration and latent coloration. Link to Optics InfoBase: Applied Optics – Early Posting. You will need to scroll down about 3/4 of the way down the list. 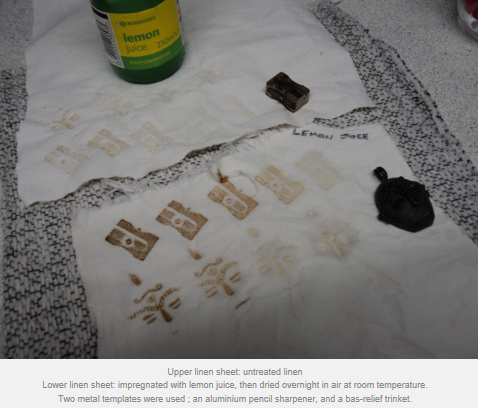 Actually, what this experiment shows is that a more intense image is obtained on the impregnated linen [(with lemon juice)] than the control, untreated linen, for heated metal templates at the same temperature. You will have to take my word for now that images can be obtained at lower temperatures on the impregnated linen with scarcely if any image on untreated linen. It may well be that none of the imaging on treated linen is due to modification of linen carbohydrates, whether the cellulose or even the more heat-sensitive hemicelluloses etc of the primary cell wall. 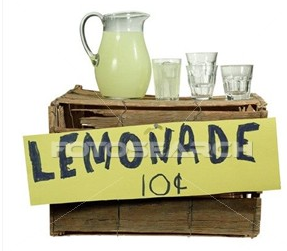 It may be that ALL the image represents pyrolysed products in the lemon juice. In other words, one can have thermal imprinting using a heat-sensitive invisible “ink” that need not damage or affect the linen itself. This makes it more probable that the image thickness meets that 2o0nm criterion! Is Colin now agreeing to some of the criteria? I like the fact that he is still trying to find a solution that fits his worldview. -1. If a detail, the slight deviation of the nose, is present in the negative image it is obviously codified also in the positive image. Perhaps our eyes-brain system is not able to detect the detail in question because the inverted colors introduce some difficulties in the subjective interpretation. I want not to discuss here the evidence of the broken nose (and then slightly deviated) on the Shroud image because this fact has been already showed by medical forensic experts. -2. Minting error or damage to the coin? It was the first problem I considered but higher magnification of the detail of nose eliminates this hypothesis (see . . . [image at right, click on it for larger 692 by 768 pixel version]. 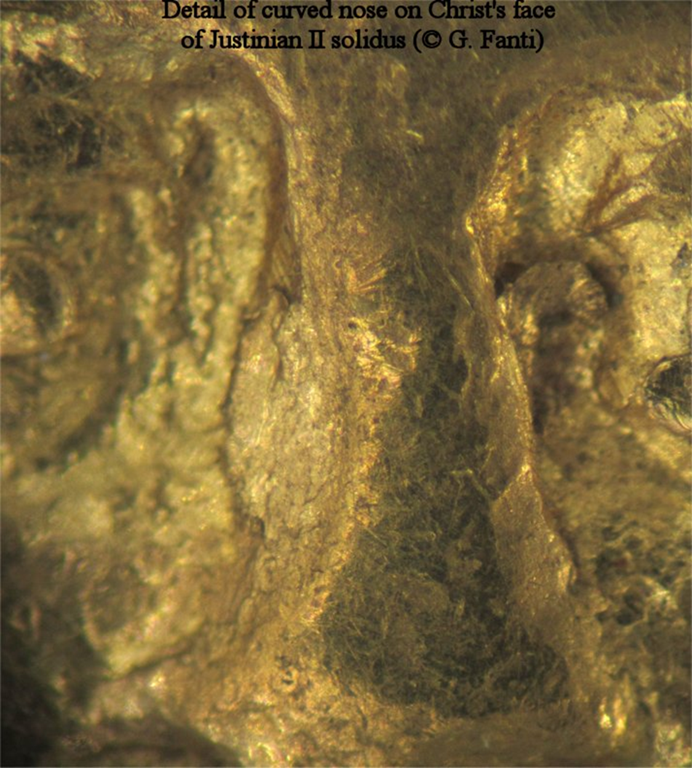 In addition I have also found the photos of a Justinian II semissis, a Justinian II solidus and a Michael III solidus showing more or less a deviation of the nose (with the same curvature) that confirm the detail perceived by different Byzantine sculptors. -3. At the time of the Byzantine emperor the Shroud body image was certainly more evident than now because more contrasted from the background that was brighter. It was therefore easier than now for an observer to detect details like non-symmetric hair. I have uploaded Thomas De Wesselow’s talk given to the BSTS on Sunday Oct.21st. Few members of this group harbour doubts that the Shroud is a medieval painting. However, for the vast majority, that is the answer they will give if asked the question: "What is the Shroud?" De Wesselow takes on this proposition head on and from first principles as only an expert in medieval art can. Or just click here or on the photograph. It runs for about an hour. 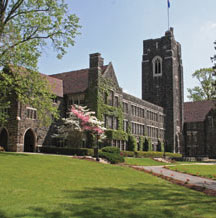 NEW WILMINGTON, Pa. – Westminster College’s Office of Faith and Spirituality will host Shroud Encounter Nov. 7 at 7 p.m. in the Wallace Memorial Chapel. Admission is free to the public. Shroud Encounter is a production of Shroud of Turin Education Project, Inc. and will be presented by international expert Russ Breault. The presentation is a fast moving, big-screen experience using over 200 images covering all aspects of Shroud research. Millions of people over the centuries have believed this artifact to be the actual burial shroud of Jesus. The 14-foot long linen cloth bears the faint front and back image of a 5’10" bearded, crucified man with apparent wounds and bloodstains that match the crucifixion account as recorded in the bible. 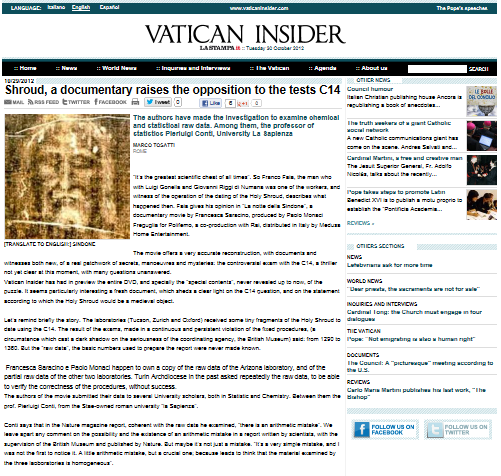 However, while the Shroud of Turin is the most analyzed artifact in the world, it remains a mystery. A 1981 investigation concluded the image was not the work of an artist, due to the lack of visible traces of paint, pigment, dye or other artistic substances on the cloth. It does have traces of AB positive blood and human DNA; however there are no stains from decomposition. Carbon dating done on the shroud is inconclusive, but adding strength to its authenticity, scientists confirmed the presence of pollen from plants that only grow in Israel. Breault’s presentation will cover all aspects of the history, science, art and theories of how the image may have been formed. Breault has been featured in several national documentaries including "Mysteries of the Ancient World" on CBS and most recently "The Real Face of Jesus?" on the History Channel. This is a wonderful, much needed clarification. I can only imagine that Ray Rogers would have been pleased. He was always pleased when someone proposed and/or conducted experiments rather than merely speculating. Denis Mannix writes (by way of a comment posted by David Rolfe). The present proposal is not to study the Maillard reaction at all. In Shroud circles the expression “the Maillard reaction” has come to be used as a general term for Ray Rogers’ claim that the image has been formed by a Maillard reaction and, more surprisingly, that it involved gases that retained, within their gaseous state, information about some physical characteristics eg. the shape, of their source. His claim is based on experiments that he carried out simulating the conditions with the tomb. The work proposed is designed to test only the latter part of this claim by Rogers which is quite a surprising claim ie. that a clear image (comparable with the image on the Shroud) can be made on a recipient surface by gases that rise in a thermal current and retain, during their movement, the details of the surface, (wounds, fingers etc) from which they were released. This claim will be tested by the accuracy of the image they generate on a reactant surface. 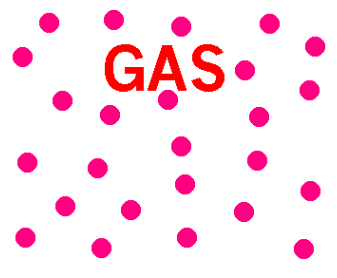 At the same time it will test to what extent any simultaneous diffusion within the gas phase obscures the image. This is as far as the proposal goes. This high quality image is an essential prerequisite before we go on to study what reaction has caused the image. If we do get the high quality image may some people may still need verify that it has the same chemical composition as the image on the Shroud. This would then lead into studies of the possible reactions that might have formed the image, including the Maillard reaction.